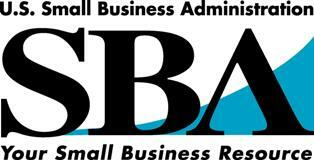 The U.S. Small Business Administration (SBA) was created in 1953, independent from the federal government to aid, and protects the interests of small business concerns and strengthens the overall economy of our nation through free enterprise. Small business is the new blue prints for designing our American economic recovery, and offers a firm foundation for building America's future, and helping the United States compete globally. Although SBA has grown and evolved, the bottom line mission remains the same, to help Americans start, build and grow their business. Its philosophy began to take shape in a number of predecessor agencies. President Herbert Hoover created The Reconstruction Finance Corporation (RFC) in 1932 to depressurize the financial crisis of the Great Depression. The RFC was a federal lending program for large and small businesses hurt by the Depression. To help small business participate in war production during WWII and give them financial viability, Congress created the Smaller War Plants Corporation (SWPC) in 1942. The SWPC provided direct loans to private entrepreneurs, and advocated small business interests to federal procurement agencies and big businesses. The SWPC was dissolved after the war, and its lending and contract powers were handed over to the RFC. At this time, the Office of Small Business (OSB) in the Department of Commerce also assumed some responsibilities that would later become characteristic duties of the SBA. The SBA has grown over the past 47 years through its array of programs tailored to encourage small enterprises in all areas. SBA's program now includes financial and federal contract procurement assistance, management assistance, and specializes in its outreach to women, minorities and armed forces veterans. The SBA also provides loans to victims of natural disasters and specialized advice and assistance in international trade. Small business is the blue print for the reform of American economy; its foundation consists of shoestring budgets and resilience in the face of adversity. Small businesses are innovative and daring, flexible and swifter. Small businesses are the blueprint of the "American Dream" with you as the architect and the SBA as the engineer.